Our first launched service is intended for the transportation of Patients from and to any location in Malta and Gozo. We strive to keep our prices as low as possible which each and everyone can afford. Patient can be accompanied by family members or friends at no extra cost. Medica Health Assist also offers personalized assistance to those who need assistance during hospital visits. 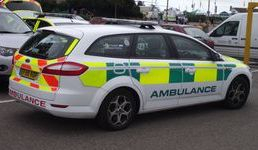 Transportation is provided by a modern and comfortable Ford Mondeo Ambulance which is fully air conditioned equipped with all the basic requirements that an ambulance should have such as first aid kits, oxygen supply , ecc. If a round trip is required , an additional 15 euro will be added. If waiting time is required, the cost will be for 10 euro every 30 minutes. 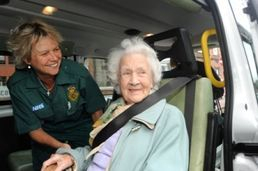 If a patient would need a nursing aid to assist him or her to attend to hospital visits, meaning that the patient will not be left alone during the entire visit, charges will be of 12 euro per hour or part of. The above prices are indicated for walking cases patients. To apply online to book your service, kindly fill in the form below and we will contact you as soon as possible to confirm your booking.